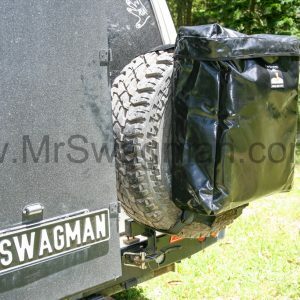 Australian delivery price for swag bag: $10.00 Australia Wide. Mr Swagman’s bedroll keeps your swag clean and dry while in transit and also unzips and unrolls as a full length ground sheet. 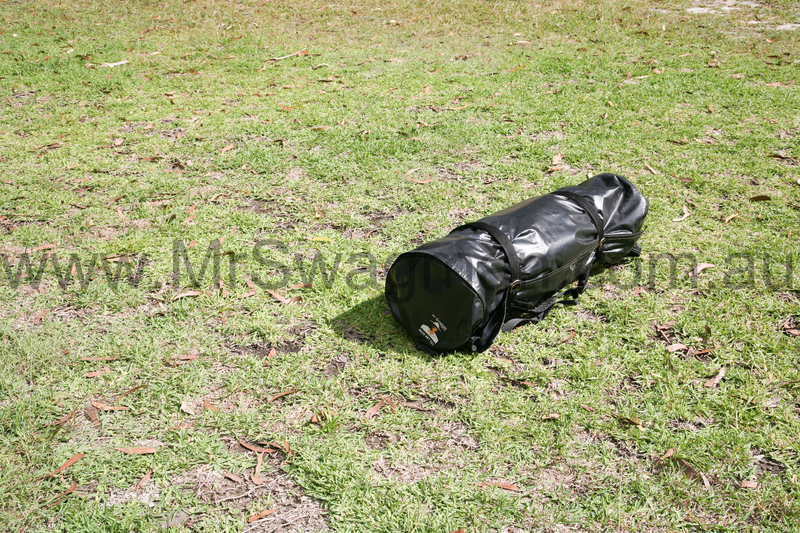 Mr Swagman’s bedroll not only protects your swag at all times, but is very easy to use. 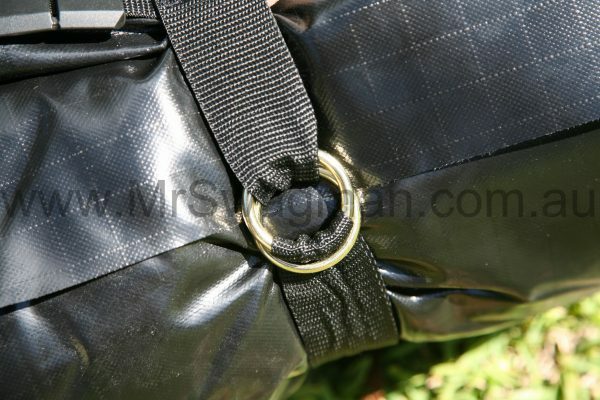 When rolled and zipped closed, the bedroll is retained by twin straps with double brass rings and has a convenient carry strap. The bedroll expands up to 50cm in diameter to take your swag, even with blankets and sleeping bags left inside the swag. 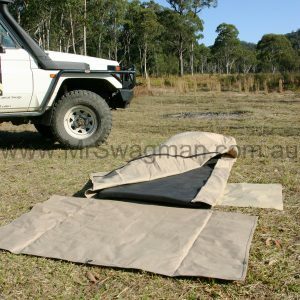 When unzipped and unrolled, the bedroll becomes a 240cm long ground sheet, which offers protection for your swag when sleeping. The ground sheet is perfect for use when the ground is very wet, muddy or has sharp sticks and stones. 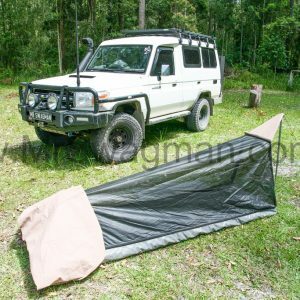 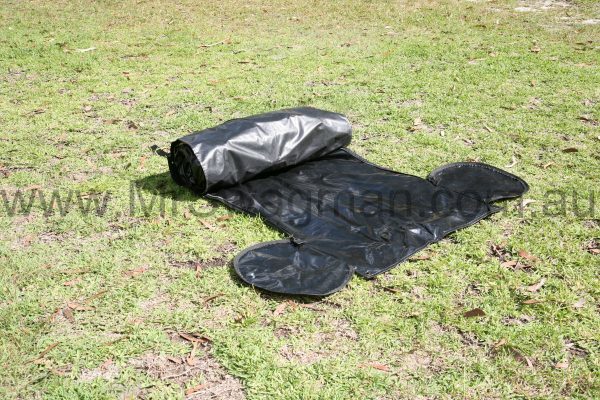 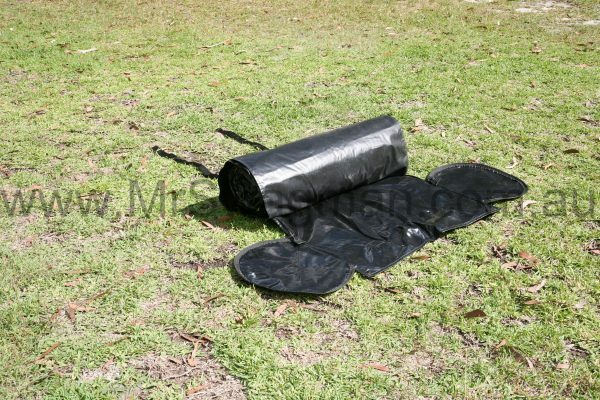 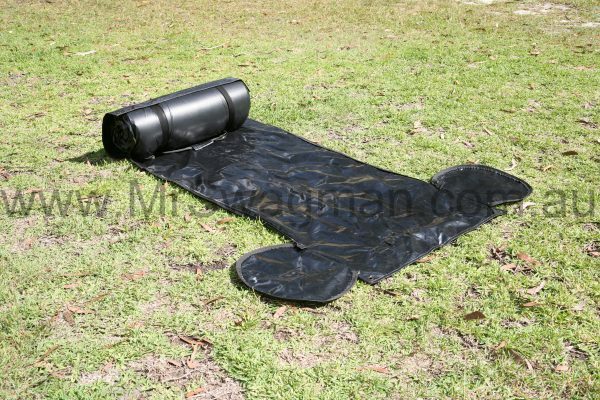 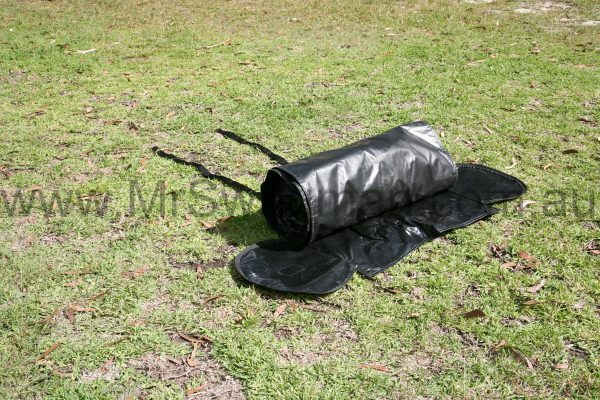 It can also be used as a ground sheet when working under your vehicle or even as a picnic rug to sit on. 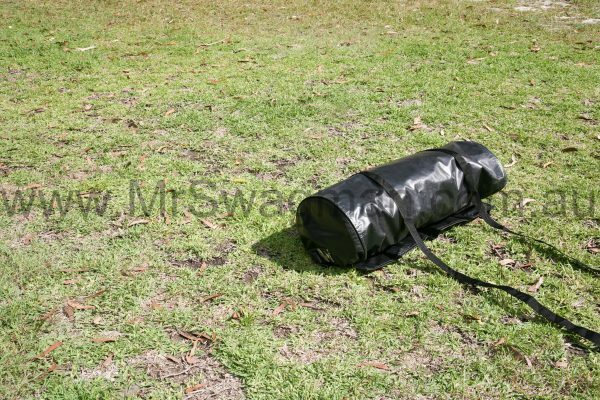 Mr Swagman’s bedroll can protect any brand of swag up to a width of 90cm for a single and 130cm for a double, with a diameter up to 50cm. 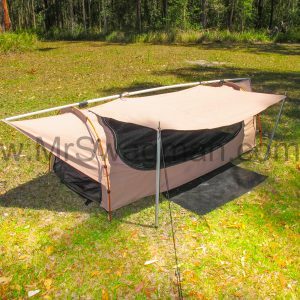 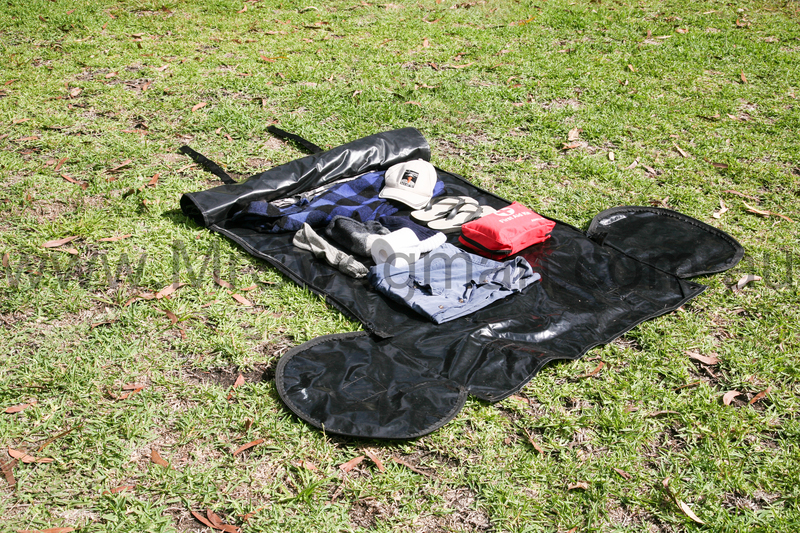 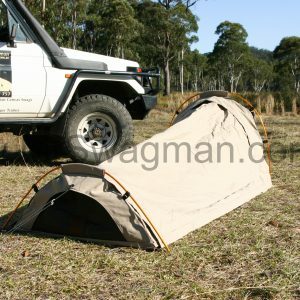 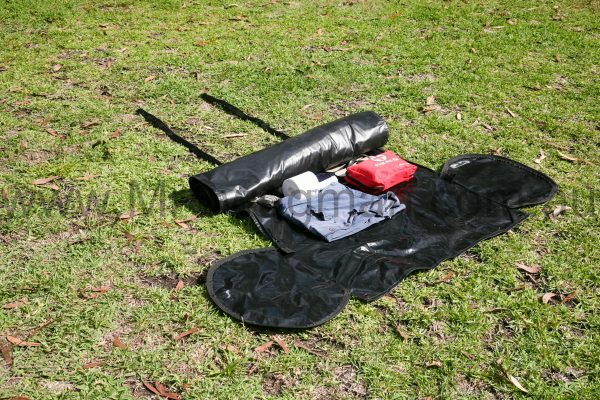 You could even use a Mr Swagman bedroll to carry clothes, blankets or any other camping gear that can be rolled up. 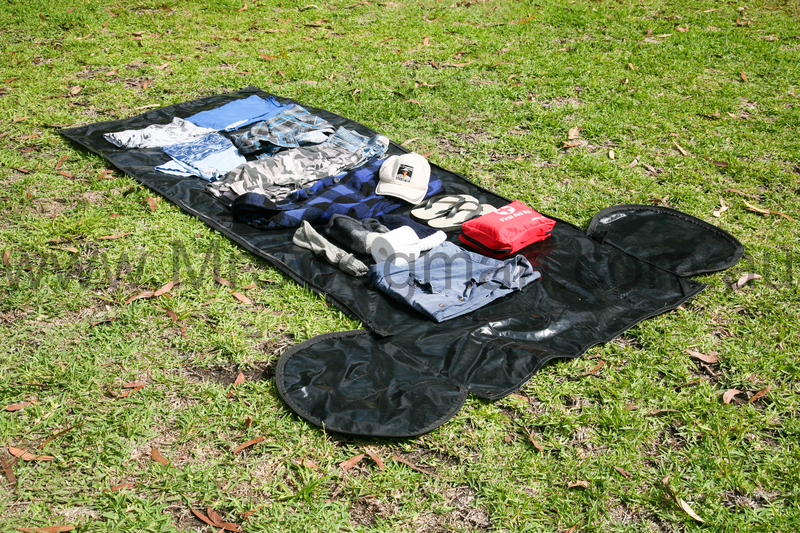 When unrolled, all your gear is easily accessible – a great alternate to a traditional carry bag. 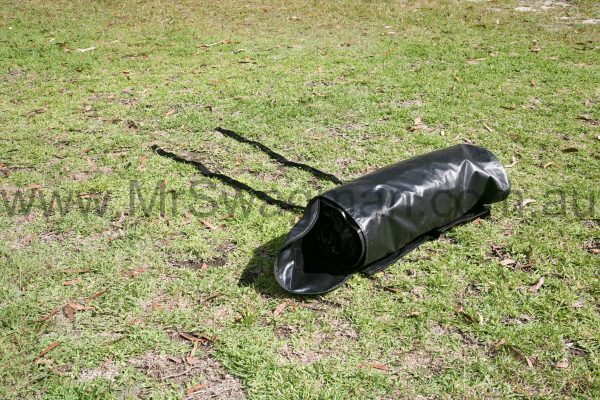 Mr Swagman’s Bikers / Horse swagbag keeps your Bikers / Horse swag clean and dry while in transit – on your bike, horse, 4WD or ute. When rolled and zipped closed, the Bikers / Horse swagbag is retained by twin straps with double brass rings and has a convenient carry strap. 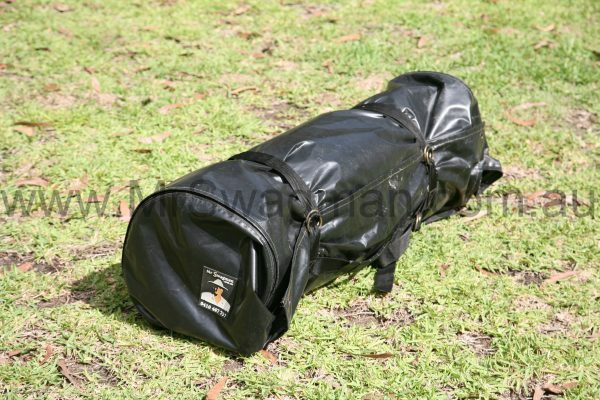 The Bikers / Horse swagbag can be expanded to take your Mr Swagman Bikers / Horse swag even with a sleeping bag and a few clothes rolled up inside. 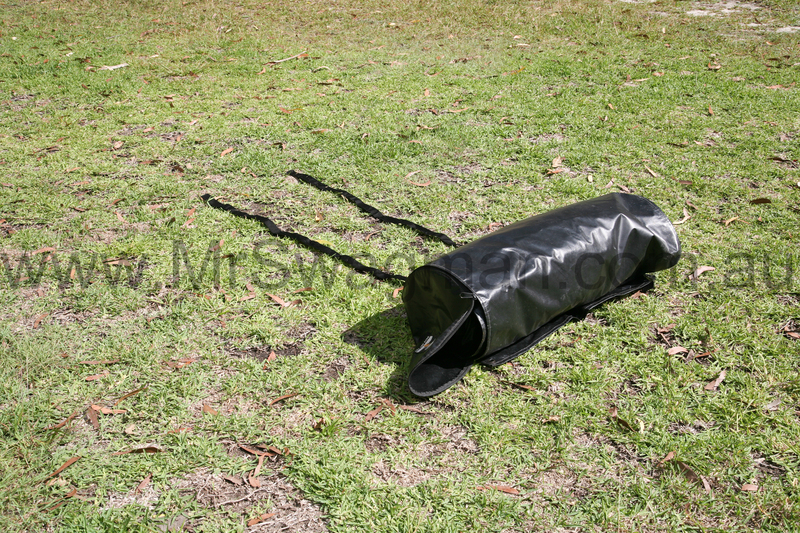 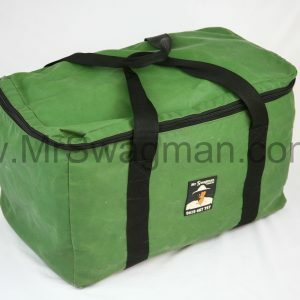 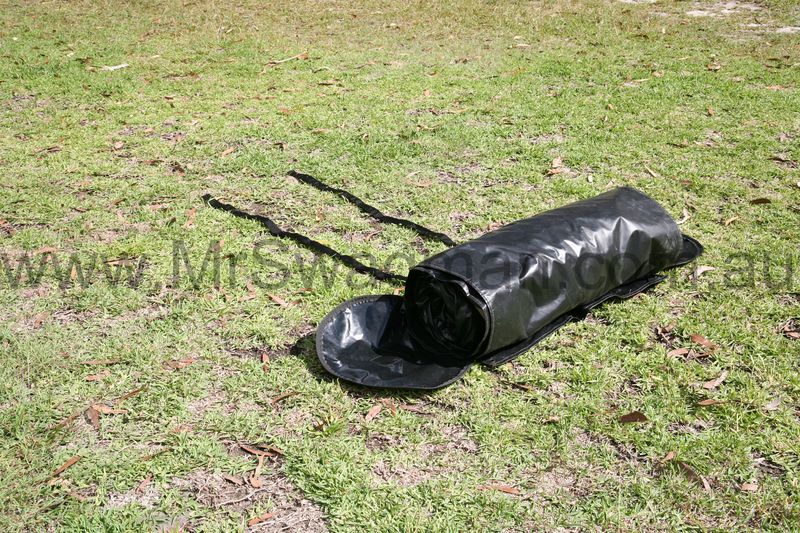 Mr Swagman’s Bikers / Horse swagbag can protect any brand of swag up to a width of 55cm and 40cm in diameter. Using a Mr Swagman Bikers / Horse swagbag on your swag will ensure it stays dry to use at the end of each day, regardless if you are using it on a motorbike, horse or in the back of a ute or up on the roof racks of your car or 4WD. 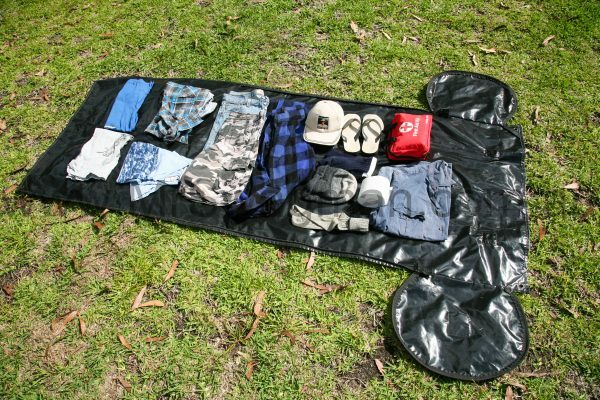 * Socks, undies and all props not included with bedrolls/swag bags!